Five emissions sectors were identified in the GHG Inventory: solid waste, transportation, and residential, commercial, and industrial energy use. Each of the sectors has a considerably different contribution to overall emissions levels. Each emissions sector also has significantly different circumstances and opportunities for emissions reductions. Accordingly, the CAP establishes a goal for each of the five emissions sectors, which in combination will achieve the overall 2020 emissions reduction goal, as shown in Table 2.1. These goals were established by considering the potential emissionsreducing actions for each sector and the perceived ability of the City and the community to adjust related behaviors. The percentage that each sector will contribute to emissions reductions to meet the 2020 goal is shown in the pie chart in Figure 2.2. Clearly, reductions in the transportation sector are critical for meeting the goal, and many of the actions are focused on reducing transportation- related emissions. Business as Usual (BAU) projected emissions levels for each sector account for growth through 2020 and assume no reductions are made. BAU, therefore, acts as a reasonable benchmark against which emission reductions can be measured. Since the CAP identifies new actions that will reduce emissions, the sector goals are stated as a percentage of the BAU projected emissions for each sector. Table 2.2 below, shows each sector goal as a percentage of the BAU emissions projected for 2020. The sector goals are 2020 target emissions levels set for each sector, and it is anticipated that these sector goals will be achieved through a combination of local actions and actions taken externally at the regional, state, federal, and international levels (external actions). For example, state and federal mandates for increased vehicle efficiency would represent an external action, while expanding bike lanes on City streets and increased use of bikes for local transportation would represent a local action. The local actions outlined in Chapters 3 and 4 include actions to be taken by the Chico community and the City. Table 2.3 lists reduction targets, by sector, for local and for external actions. The estimated emissions reductions from external actions for each sector are listed in Table 2.3 (previous page). The estimates were prepared using information from the California Air Resources Board AB 32 Scoping Plan and from Pacific Gas & Electric staff. An example of an external action is the expansion of the renewable (non-GHG-emitting) components in PG&E’s grid mix, also known as the Renewable Portfolio Standard. As more renewable energy is used in the grid mix, fewer emissions will result from each unit of energy consumed. During Phase I, PG&E’s expanded use of renewable energy is expected to be the greatest source of emissions reduction from external actions. As of January 2010, PG&E had already doubled the amount of energy it generates from renewable sources since the 2005 base year. As discussed earlier, the AB32 Scoping Plan was also used in estimating reductions from external actions. The Scoping Plan sets specific targets and actions for reducing statewide GHG emissions from the burning of fossil fuels in both power plants and vehicles, and by setting state energy efficiency and renewable energy requirements. Although the Scoping Plan contains many measures that will directly or indirectly reduce emissions generated within the Chico area, only the actions that most directly impact the Chico area and have the potential to reduce emissions from activities that were measured in the baseline GHG Inventory were included in this CAP. Descriptions of the external actions chosen for inclusion in the CAP are described in the boxes on this page and discussed in Chapters 3 and 4. Established in 2002 by Senate Bill 1078, the State of California Renewable Portfolio Standard (RPS) is one of the most ambitious renewable energy standards in the country, requiring electricity providers to increase the portion of energy from renewable sources to 20% by 2010 and by 33% by 2020. The California RPS is estimated to reduce statewide GHG emissions by approximately 12 million MtCO2e by 2020. Assembly Bill 1493, signed into law in 2002, required the Air Resources Board to adopt regulations that require carmakers to reduce GHG emissions from 2009 and later models of new passenger cars and light-duty trucks by 30% below 2002 levels by the year 2016. It is expected that the Pavley regulations will reduce GHG emissions from California passenger vehicles by about 22% in 2012 and about 30% in 2016. This measure is estimated to reduce statewide GHG emissions by 26.1 million. The Low Carbon Fuel Standard (LCFS) is a flexible performance standard designed to accelerate the availability and diversity of low-carbon fuels by requiring fuels that contain less carbon with consideration of their full life-cycle. 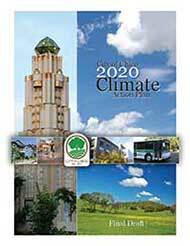 As part of the AB 32 Scoping Plan, the LCFS is estimated to reduce GHG emissions by 15.8 million MtCO2e by 2020.